(DEC 29) If you can't afford a trip to space, JPL Wallpapers can at least give you the visual - even while you check your Facebook page. With more than 80 wallpapers to choose from in six different screen resolutions, you can sit poolside at the moon one day and get lost in a Snowflake Cluster the next. The wallpapers are completely free and easy to set up. Organized into six categories, including Earth, Mars, Saturn, and Stars & Galaxies, the wallpapers include some of JPL's most popular and stunning images and artist's concepts. 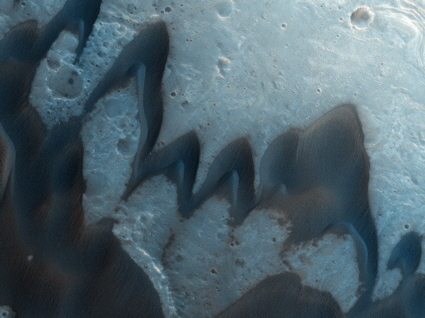 They're updated often to include the latest images from missions like Cassini and the Mars Rovers, so you can explore a new part of the universe - and take it with you -- daily. 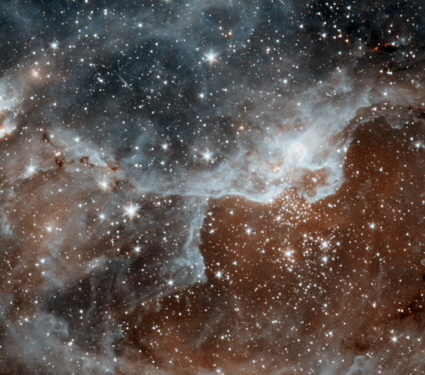 Visit jpl.nasa.gov/wallpaper to snag your view of space and read instructions on how to apply your JPL Wallpaper. (DEC 10) Vandenberg AFB, Calif., - The launch of NASA's Wide-field Infrared Survey Explorer (WISE) mission is now rescheduled for Dec. 14, with a launch window of 6:09-6:23 a.m. PST. The first launch attempt scheduled for Dec. 11 was delayed due to an anomaly in the motion of a booster steering engine. 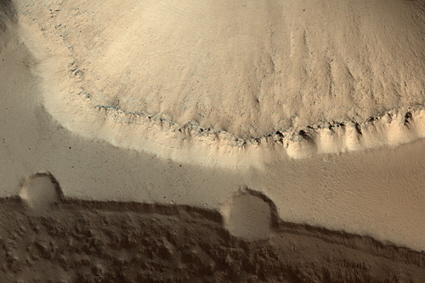 Mission managers have implemented a plan to completely resolve the anomaly. This plan includes removing and replacing a suspect component on Friday, Dec. 11 allowing the Delta II to be ready for Monday's launch attempt. The current weather forecast calls for an 80 percent chance of acceptable weather during the launch window. (DEC 4) Launch of NASA's Wide-field Infrared Survey Explorer (WISE) from Vandenberg Air Force Base in California is scheduled for Dec. 11. Launch and mission managers held a Flight Readiness Review on Friday and will reconvene at Vandenberg on Sunday to assess the "Go" for the propellant load of second stage on Monday. The scheduled Launch Readiness Review and press conferences will move two days forward to Wednesday, Dec. 9. Launch Weather forecast is less than favorable this week with a front moving in. The biggest concern for launch day is precipitation and thick cloud rule violation. The WISE spacecraft will circle Earth over the poles, scanning the entire sky one-and-a-half times in nine months. The mission will uncover hidden cosmic objects, including the coolest stars, dark asteroids and the most luminous galaxies. (NOV 18) As forecasters predicted, the Leonid meteor shower peaked during the late hours of Nov. 17th, favoring sky watchers in Asia with an outburst of 100+ meteors per hour. 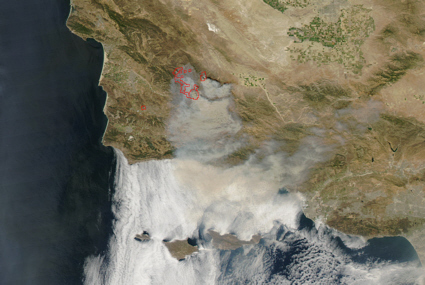 Just as the outburst was dying down, an even bigger event took place over the western USA. Something hit Earth's atmosphere and exploded with an energy equivalent of 0.5 to 1 kiloton of TNT. Witnesses in Colorado, Utah, Idaho and elsewhere say the fireball "turned night into day" and "shook the ground" when it exploded just after midnight Mountain Standard Time. Researchers who are analyzing infrasound recordings of the blast say the fireball was not a Leonid. It was probably a small asteroid, now scattered in fragments across the countryside. Efforts are underway to measure the trajectory of the asteroid and guide meteorite recovery efforts. (NOV 16) VANDENBERG AIR FORCE BASE, Calif. - The scheduled launch of an unarmed Minuteman III intercontinental ballistic missile has been postponed. The mission was scheduled to launch on Nov. 18 to gather accuracy and reliability data. The postponement of this mission will allow for the completion of ground testing prior to launching. 30th Space Wing public affairs will release the new launch date when determined. The smoke trail from a large meteor or "fireball" hangs in the sky after sunset on November 7. Chris and Gwen Wagy spotted the unusual trail while driving in Marina, California and thought it was a noctilucent cloud. 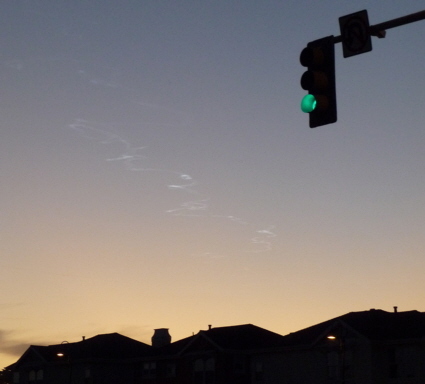 Observers in northern California reported seeing the fireball streak across the sky minutes earlier at about 17:10 PDT. The incendiary display and smoky aftermath were due to a meteor and may have been part of the annual Taurid meteor shower which was in progress. Image Copyright 2009, Gwen Wagy. Used with permission. (NOV 4) The University of Utah announced initial observations or "first light" of its new $860,000 research telescope in southwest Utah. The new Willard L. Eccles Observatory's 32-inch reflecting telescope took its first pictures the night of Oct. 15. The "first light" photo is an edge-on view of the spiral galaxy NGC 891, says Wayne Springer, who heads the project and is an associate professor of physics and astronomy. The new observatory, with a telescope built by DFM Engineering, is located at an elevation of about 9,600 feet on Frisco Peak, near Milford, Utah. A United Launch Alliance Atlas V carrying the Air Force's Defense Meteorological Satellite Program F18 spacecraft lifts off October 18th from Vandenberg AFB. 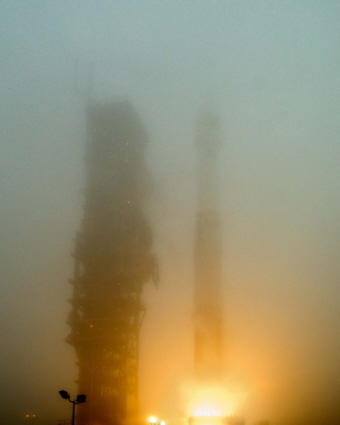 Despite a foggy day, the Atlas V flawlessly delivered DMSP F18 successfully to its assigned orbit after an 18-minute flight. Photo by Pat Corkery, United Launch Alliance. (OCT 18) VANDENBERG AIR FORCE BASE, Calif. - Vandenberg AFB successfully launched a Atlas V rocket today at 9:12 a.m. The rocket took off from Space Launch Complex-3 carrying a Defense Meteorological Satellite Program payload. This was Vandenberg's second Atlas V launch and the first Air Force payload to be lifted from Vandenberg aboard an Atlas V.
Atlas V is part of the Evolved Expendable Launch Vehicle family. 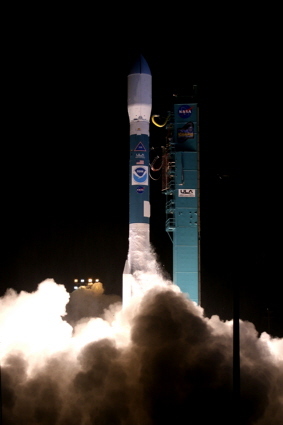 The program, which began in the 1990s with the goal of making government space launches more affordable and reliable, resulted in the development of two launch systems, Delta IV and Atlas V.
The DMSP satellites monitor the meteorological, oceanographic and solar-terrestrial physics environments for the Department of Defense. 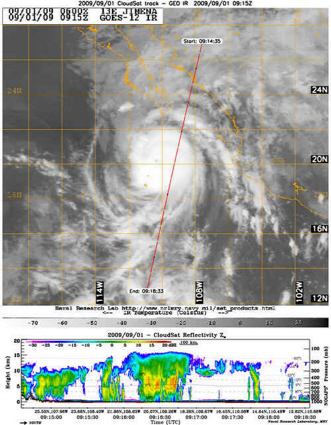 Each DMSP satellite has a 101 minute, sun-synchronous near-polar orbit at an altitude of 830 km above the surface of the Earth. 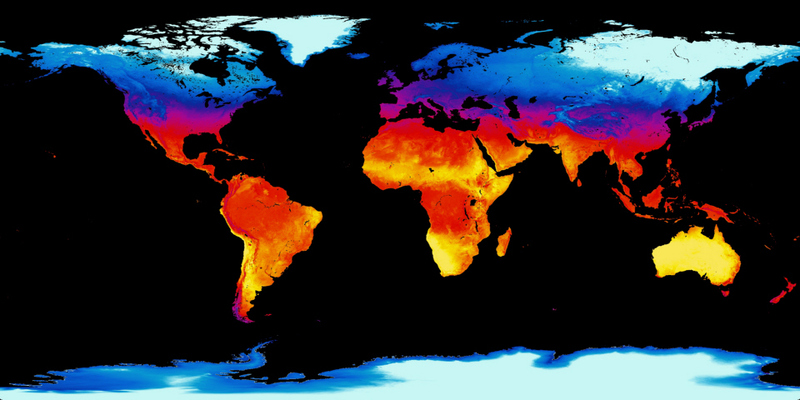 DMSP sensors collect images across a 3000 km swath, providing global coverage twice per day. Once operational, the DMSP payload will be managed by the National Oceanographic Atmospheric Administration satellite control center in Suitland, Md., with support from the 6th Space Operations Squadron, an all Air Force Reserve unit stationed out of Schriever AFB, Colo.
(SEP 25) CANOGA PARK, Calif., -- Pratt & Whitney Rocketdyne, a United Technologies Corp. (NYSE: UTX) company, helped boost two tandem Space Tracking and Surveillance System (STSS) demonstrator satellites from Cape Canaveral Air Force Station, Fla., today. The satellites were onboard a United Launch Alliance Delta II rocket launched for NASA, powered by a Pratt & Whitney Rocketdyne RS-27A engine. It was the 231st successful flight boosted by the RS-27 family of engines. The demonstrator satellites are designed to prove the key functions of space-based sensors for the Missile Defense Agency. They will acquire, track and discriminate ballistic missiles and communicate the data to other elements of the Ballistic Missile Defense System via the Missile Defense Space Experimentation Center ground station to provide sensor information for all phases of the missiles' flight. Pratt & Whitney Rocketdyne, Inc., a part of Pratt & Whitney, is a preferred provider of high-value propulsion, power, energy and innovative system solutions used in a wide variety of government and commercial applications, including the main engines for the space shuttle, Atlas and Delta launch vehicles, missile defense systems and advanced hypersonic engines. (SEP 4) WASHINGTON -- NASA and Alliant Techsystems Inc., or ATK, have rescheduled the test of the new first-stage solid rocket motor for the Ares I rocket. The static firing of the five-segment solid motor, designated development motor -1, is scheduled for 1 p.m. MDT on Thursday, Sept. 10, at the ATK test facility in Promontory, Utah. The first firing attempt on Aug. 27 was scrubbed because of an anomaly with the ground test controller. The goal of this test is to obtain valuable thrust, roll-control, acoustics and vibration data as engineers continue to design the Ares vehicles. (AUG 23) VANDENBERG AIR FORCE BASE, Calif. - An unarmed Minuteman III intercontinental ballistic missile configured with a National Nuclear Security Administration test assembly launched from North Vandenberg today at 9:01 a.m. The launch was an operational test to verify the weapon system's reliability and accuracy. The missile carried one unarmed re-entry vehicle approximately 4,190 miles at speeds in excess of 15,000 mph to a pre-determined target near the Kwajalein Atoll in the Marshall Islands. Col. Steven Winters, the 30th Space Wing vice commander, was the mission's launch decision authority. Col. Carl T. DeKemper, the 576th Flight Test Squadron commander, was the mission director for this test launch. Throughout the preparation and execution of the mission, maintenance and operations task force personnel from the 341st Missile Wing, Malmstrom AFB, Mont., integrated with the 576th FLTS to perform operational tasks. Members of the 576th FLTS installed tracking, telemetry and command destruct systems on the missile to collect data and meet 30th Space Wing safety requirements. The data collected will be used by the entire ICBM community, including the United States Strategic Command planners and Department of Energy laboratories. 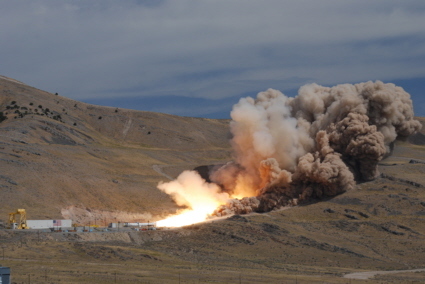 (AUG 14) WASHINGTON -- NASA and Alliant Techsystems Inc., or ATK, will conduct the first full-scale, full-duration test of the new first-stage solid rocket motor for the Ares I rocket at 1 p.m. MDT, on Thursday, Aug. 27. The test will take place at the ATK test facility in Promontory, Utah. The test was previously scheduled for Aug. 25. The new date allows key NASA and ATK personnel to support this test and the upcoming STS-128 space shuttle Discovery mission. 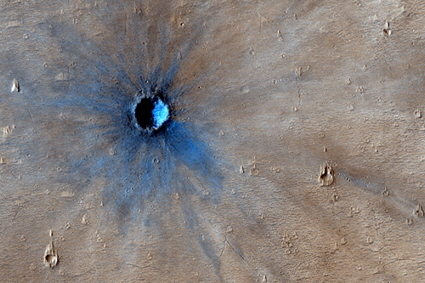 Discovery is targeted for launch on Aug. 24. The static firing of the five-segment solid motor, designated Development Motor -1, will last two minutes. The goal is to obtain valuable thrust, roll-control, acoustics and vibration data as engineers continue to design Ares I. The first-stage solid rocket motor is managed and tested by the Ares Projects Office at NASA's Marshall Space Flight Center in Huntsville, Ala. ATK Space Systems is the prime contractor for the Ares I first stage. The Ares I rocket is designed to launch the Orion spacecraft and the next generation of NASA astronauts. (AUG 7) WASHINGTON -- NASA and Alliant Techsystems Inc. [ATK] will conduct the first full-scale, full-duration test of the new first-stage solid rocket motor for the Ares I rocket at 1 p.m. MDT, on Tuesday, Aug. 25. The test will take place at the ATK test facility in Promontory, Utah. (JUL 29) PASADENA, Calif. -- NASA's Jet Propulsion Laboratory is introducing a new Web site that will provide a centralized resource for information on near-Earth objects - those asteroids and comets that can approach Earth. The new Asteroid Watch site is online at http://www.jpl.nasa.gov/asteroidwatch. 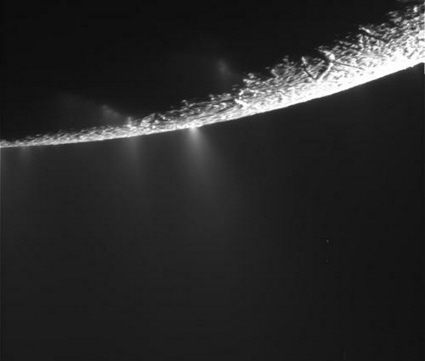 It provides information on NASA's missions to study comets, asteroids and near-Earth objects, and also provides the basic facts and the very latest in science and research on these objects. News about near-Earth object discoveries and Earth flybys will be available and made accessible on the site via a downloadable widget and RSS feed. 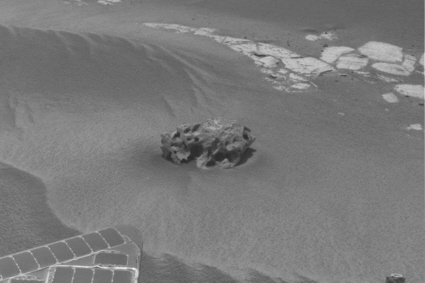 And for those who want to learn about their space rocks on the go, a Twitter feed is offered. "Asteroid Watch" also contains a link to JPL's more technical Near-Earth Objects Web site, where many scientists and researchers studying near-Earth objects go for information. NASA supports surveys that detect and track asteroids and comets passing close to Earth. The Near-Earth Object Observation Program, commonly called "Spaceguard," also plots the orbits of these objects to determine if any could be potentially hazardous to our planet. (JUL 8) The Ventura County Astronomical Society will hold its monthly meeting on July 17 at Mesa Union School, 3901 Mesa School Road, Somis, CA. The speaker will be Dr. Ben Zuckerman Professor of Physics and Astronomy at UCLA. 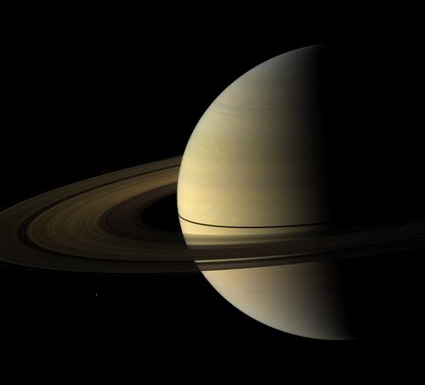 Dr. Zuckerman's presentation will be "Direct Imaging of Massive Extrasolar Planets". 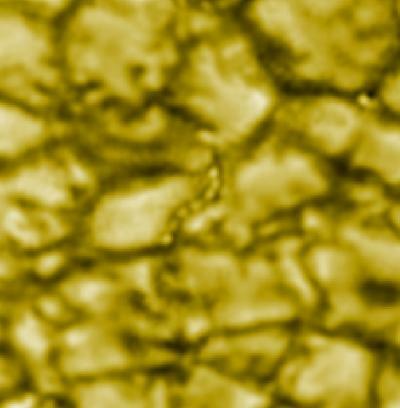 The first observational indication of the existence of rocky extrasolar planets in the zone of life of an old main-sequence star will be described. (JUN 29) VANDENBERG AIR FORCE BASE, Calif. - An unarmed Minuteman III intercontinental ballistic missile configured with a National Nuclear Security Administration test assembly launched from North Vandenberg today at 3:01 a.m. The missile carried three unarmed re-entry vehicles approximately 4,190 miles at speeds in excess of 24,000 mph to their pre-determined targets near the Kwajalein Atoll in the Marshall Islands. Col. David Buck, the 30th Space Wing commander, was the mission's launch decision authority. Lt. Col. Lesa K. Toler, the 576th Flight Test Squadron commander, was the mission director for this test launch. Throughout the preparation and execution of the mission, maintenance and operations task force personnel from the 91st Missile Wing out of Minot AFB, N.D., integrated with the 576th FLTS to perform operational tasks. Members of the 576th FLTS installed tracking, telemetry and command destruct systems on the missile to collect data and meet 30th Space Wing safety requirements. 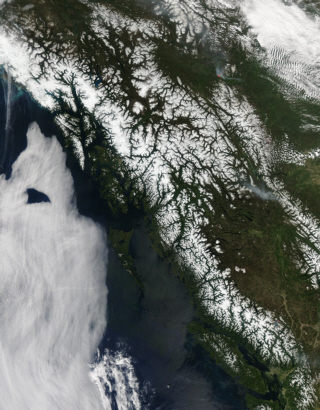 Late spring turns to summer in British Columbia in this image captured by the MODIS instrument on the Aqua satellite on 2009 June 3. The snow is melting off the Coast Mountains and the vegetation is turning brilliant green, though to the north, hints of winter's brown remain. 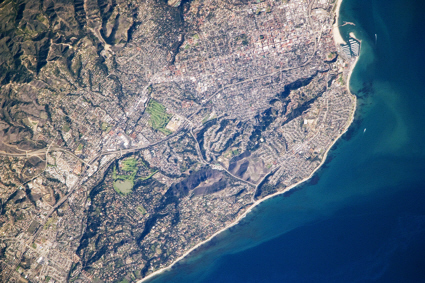 The image is one of many gathered by Aqua since its launch aboard a Delta rocket from California's Vandenberg Air Force Base in 2002. (JUN 3) EL SEGUNDO, Calif., June 3, 2009 /PRNewswire/ -- Raytheon Company (NYSE: RTN) has received confirmation from the U.S. Air Force Research Laboratory that its hyperspectral imaging sensor known as ARTEMIS has been activated aboard the TacSat-3 spacecraft and is fully functional. The milestone continues Raytheon's 40-year history of on-orbit success. Activation also marks the beginning of the year-long TacSat-3 mission to test the payload's ability to deliver tactical surveillance information from space to military field commanders within 10 minutes of data acquisition. ARTEMIS was developed in 15 months as an experiment in rapid deployment funded by a $15 million contract from the laboratory. Data collection is scheduled to begin within days as part of the program's goal of demonstrating the ability to design, build and field space solutions in tactically relevant time frames. Consisting of a trio of components (telescope, spectrometer and on-board digital signal processor), the payload will image the ground at high spatial resolution in a broad range of the visible and infrared spectrum. It can be directed to search for camouflage, disturbed earth and other signs of enemy activity. (MAY 20) HUNTSVILLE, Ala. -- NASA and industry engineers successfully completed the first test of the Ares I rocket's three main parachutes Wednesday. The parachutes -- the largest rocket parachutes ever manufactured -- are designed to slow the rapid descent of the rocket's spent first-stage motor, permitting its recovery for use on future flights. The Ares I, the first rocket in NASA's Constellation Program, is designed to launch explorers aboard the Orion crew capsule on journeys to the International Space Station, the moon and beyond. 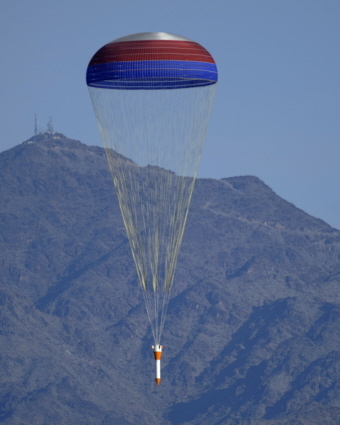 The three main parachutes measure 150 feet in diameter and weigh 2,000 pounds each. They are a primary element of the rocket's deceleration system, which also includes a pilot parachute and drogue parachute. Deployed in a cluster, the main parachutes open at the same time, providing the drag necessary to slow the descent of the huge solid rocket motor to a soft landing in the ocean. Engineers from Marshall managed the team that conducted this first cluster test at the U.S. Army's Yuma Proving Ground near Yuma, Ariz. This was the eighth in an ongoing series of flight tests supporting development of the Ares I recovery system. Researchers dropped the 41,500-pound load from a U.S. Air Force C-17 aircraft flying at an altitude of 10,000 feet. The parachutes and all test hardware functioned properly and landed safely. (MAY 11) VANDENBERG AIR FORCE BASE, Calif. - The scheduled operational test launch of an unarmed Minuteman III intercontinental ballistic missile is delayed to allow for additional data collection while in the operational ground configuration. A new launch date has yet to be established. "We are working with the Western Range to establish a new launch date at their earliest convenience," said Lt. Col. Lesa Toler, 576th Flight Test Squadron commander. "It's not an easy process as the Western Range, Pacific Missile Range and Reagan Test Site at Kwajalein Atoll are all extremely busy and have competing priorities to de-conflict." "Our additional testing though will allow us to further improve the operational effectiveness of the nation's most powerful weapon system," Lieutenant Colonel Toler said. Vandenberg Air Force Base Public Affairs will release the new launch date once it becomes available. (APR 30) VANDENBERG AIR FORCE BASE, Calif. -- A Delta II rocket is scheduled to launch from Space Launch Complex-2 here, between 1:24 and 1:52 p.m. May 5. The rocket will carry an experimental satellite into polar orbit to perform the Missile Defense Agency's Space Tracking and Surveillance System Advanced Technology Risk Reduction mission. Col. Steven Winters, the 30th Space Wing vice commander, is the Western Range launch decision authority for this mission. The purpose of the STSS ATRR mission is to enhance MDA's Ballistic Missile Defense System. It will serve as a space based component of a multi-layered system designed to detect, track and intercept ballistic missiles. Launch preparation is on schedule, with the final launch rehearsal scheduled for May 1; this shake-down run will be the final opportunity to work out any lingering glitches, according to mission planners. To perform this launch, 30th Space Wing personnel are working in conjunction with the United Launch Alliance, NASA and MDA. 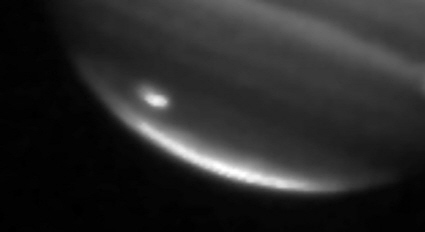 (APR 18) Next Wednesday (April 22) observers in the southwestern U.S. have an opportunity to see the planet Venus perform a rare disappearing act. Referred to as an "occultation", the event will occur as the Moon's eastward orbital motion carries it in front of the silvery-white planet, hiding it from view. As seen from Los Angeles, Venus will disappear behind the Moon during morning twilight at 05:09 PDT. The planet will reappear from behind the Moon just before sunrise at 05:56 PDT. The event should be easily visible to the unaided eye. However, to see it, you will need an unobstructed eastern horizon. (APR 8) MOFFETT FIELD, Calif. - Engineers have successfully ejected the dust cover from NASA's Kepler telescope. At 7:13 p.m. PDT on April 7, engineers at Kepler's mission operations center at the Laboratory for Atmospheric and Space Physics, Boulder, Colo., sent commands to pass an electrical current through a "burn wire" to break the wire and release a latch holding the cover closed. 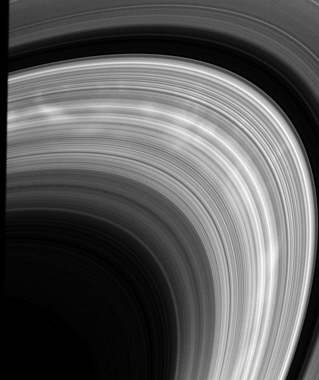 The spring-loaded cover swung open on a fly-away hinge, before drifting away from the spacecraft. Kepler is a NASA Discovery mission. NASA's Ames Research Center Ames is the home organization of the science principal investigator, and is responsible for the ground system development, mission operations and science data analysis. Ball Aerospace & Technologies Corp., Boulder, Colo., is responsible for developing the Kepler flight system and supporting mission operations. (MAR 18) SACRAMENTO, Calif. -- Aerojet, a GenCorp (NYSE: GY) company, announced today that its two Terminal High Altitude Area Defense (THAAD) boost motors performed optimally during a THAAD flight test yesterday at the Pacific Missile Range in Kauai, Hawaii. THAAD is a mobile missile defense technology designed to intercept and destroy short- to medium-range ballistic missiles during the final, or terminal, phase of their flight, and provides broad area coverage against threats to critical assets such as population centers, industrial resources and military forces. Aerojet manufactures THAAD boost motors for Lockheed Martin Corporation, the prime contractor and systems integrator supplying the system to the Missile Defense Agency. For this salvo test, two interceptors were launched at a single target. The incoming target was acquired by tracking radar, and both interceptors were launched to intercept the target. The first interceptor destroyed the target, and the second interceptor was destroyed by range safety officers as planned. 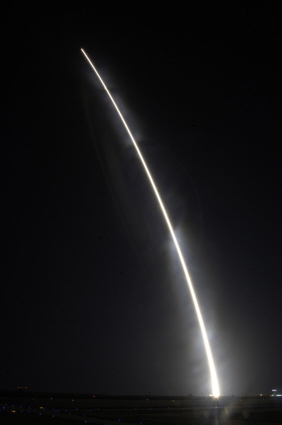 A Taurus XL rocket carrying NASA's Orbiting Carbon Observatory lifts-off from Vandenberg AFB at 1:55 a.m. on February 24. 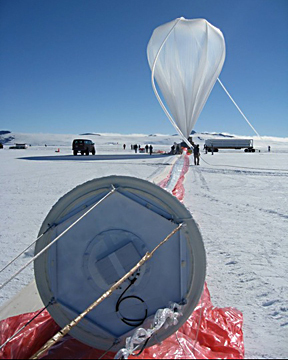 Minutes later, the payload shroud failed to separate from the Taurus, causing the vehicle and the payload to splash in the ocean near Antarctica. U.S. Air Force photo by Airman 1st Class Andrew Lee. (MAR 5) VANDENBERG AIR FORCE BASE, Calif. - An inspection team from the Russian Federation departed here today at 8:11 a.m. after completing an on-site verification for compliance with the Strategic Arms Reduction Treaty. The team arrived Tuesday at 7:00 p.m. to conduct the inspection. The United States sends similar teams to inspect former Soviet strategic weapon facilities. The reciprocal inspections are an element of the START I accord which was signed in 1991 and went into force in 1994. (FEB 24) PASADENA -- NASA's Orbiting Carbon Observatory satellite failed to reach orbit after its 1:55 a.m. PST liftoff Tuesday from California's Vandenberg Air Force Base. Preliminary indications are that the fairing on the Taurus XL launch vehicle failed to separate. The fairing is a clamshell structure that encapsulates the satellite as it travels through the atmosphere. (FEB 19) VANDENBERG AIR FORCE BASE, Calif. - A Taurus XL rocket, carrying the NASA Orbiting Carbon Observatory (OCO) satellite, is scheduled to launch at approximately 1:50 a.m. Tuesday from Space Launch Complex 576-E here. Col. David Buck, 30th Space Wing commander, will be the Western Range launch decision authority for this mission. The OCO is the first spacecraft dedicated to the study of carbon dioxide in Earth's atmosphere. The goal of the satellite is to increase scientific understanding of not only where carbon dioxide comes from, but also where it ends up. (JAN 30) VANDENBERG AIR FORCE BASE, Calif. - A Delta II rocket is scheduled to launch from Space Launch Complex-2 here, Wednesday. The rocket will be carrying NOAA-N Prime polar-orbiting weather satellite for NASA and the National Oceanic and Atmospheric Administration. Col. Dave Buck, 30th Space Wing commander, will be the western range launch decision authority for this mission. 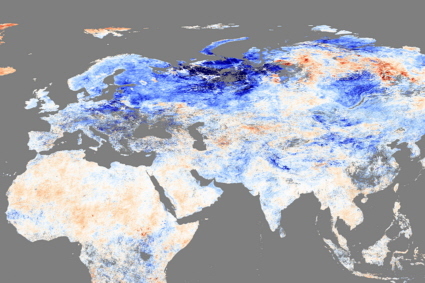 The satellite will improve weather forecasting and monitor environmental events around the world. NOAA-N Prime is the fifth and last in the current series of five polar-orbiting satellites with improved imaging and sounding capabilities. The satellite will collect meteorological data and transmit the information to NOAA's Satellite and Information Service, which processes the data for input to the National Weather Service for its long-range weather and climate forecasts. Forecasters worldwide also will be able to access the satellite's images and data. NOAA-N Prime has sensors that will be used in the Search and Rescue Satellite-Aided Tracking System to monitor for distress signals around the world. Copyright © 2009-2010, Brian Webb. All rights reserved.